Skagway: 8 to 10 stops on a shuttle bus to the border of the Yukon Territory. Great chance at wildlife combined with one of the most scenic highways in the World. This is a drive that you will never forget. 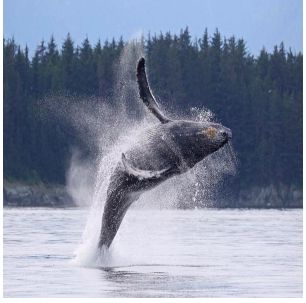 Juneau: Garunteed Whale sightings or your $ back. Juneau is the "whale capital" of Southeast Alaska. It is a must do while docked in Juneau.